Yes, a huge part of reducing the cost of solar panels will be to slash their soft costs — that’s all of those pesky things that aren’t part of the hardware, like the cost of permits, installation, financing, and marketing. But in the future, we’ll also eventually need cheaper, non-toxic, and abundant solar materials to help make solar panels an even more important power source. 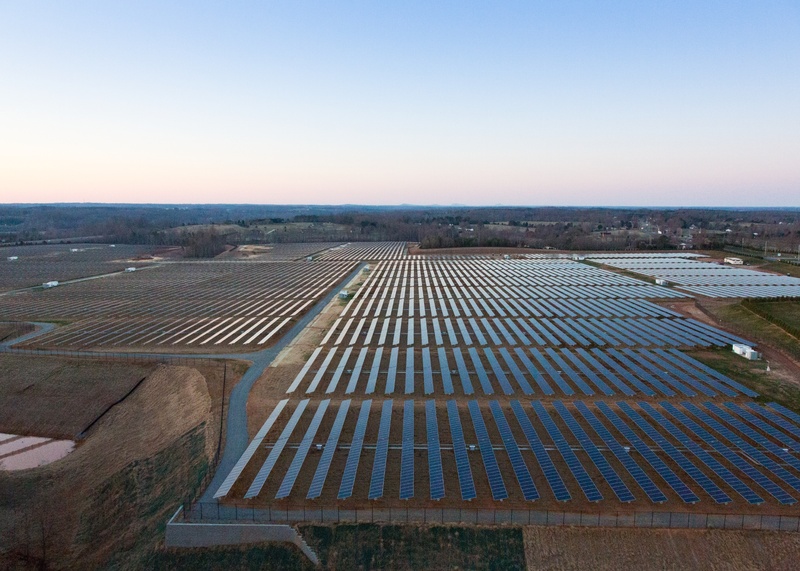 Apple’s solar farm, image courtesy of Apple. 1). The non-toxic, abundant version of CIGS thin films: Thin-film solar panels made from CIGS — copper-indium-gallium-selenide — haven’t quite materialized like they were predicted to do a decade ago. There are a lot of reasons for that, and the chief one is that the price of silicon dropped dramatically in recent years (instead of increased), and CIGS panels are at an advantage when silicon is expensive. Well-known (or should I say infamous) companies that have worked on CIGS thin-film solar panels include Solyndra, Miasole, HelioVolt, Stion, and Nanosolar. Japan’s Solar Frontier is probably the biggest company making these panels. But another concern with CIGS is the price and availability of the rare material indium. That’s one of the reasons why researchers are now looking into thin-film solar panels made from a combination of copper, zinc, tin and sulfur-selenide (CZTSSe), as well as copper, zinc, tin, sulfide (CZTS), as these combos can provide similar properties — low cost, thin flexibility, reasonable efficiency — to CIGS panels. There are at least two projects being funded by the SunShot program around CZTS panels. The first is one is out of the University of Washington, which received close to $500,000 from the DOE to work on new ways to manufacture CZTSSe cells. The other program is from Purdue University in Indiana, and they received a $750,000 grant to make CZTS cells using nanocrystal ink. A reoccurring problem with both CIGS and CZTS solar cells is getting the cells to be able to convert enough sunlight into electricity — the efficiencies are pretty low on these. But Solar Frontier has been hard at work trying to make efficient CZTS cells and recently announced a record of 12.6 efficiency. 2). Photon recycling: Researchers and companies are working on ways to recycle photons to boost the efficiency of solar cells. How does this work? Well, not all the electrons from sunlight that enter a cell can be collected to create electricity. So using various methods — like internal cell structures, optics, doping and thermal treatments — the electrons can be used to create photons, which can then be used to knock loose more electrons to increase the overall power output of cells. Startup Alta Devices (which was reportedly acquired by Hanergy) was using this method to make an efficient solar cell from gallium arsenide. Backed by SunShot funding, NREL researchers are improving the efficiency of two-junction solar cells (cells that use two semiconductor materials that use different wavelengths of light) using a gold backing to reflect photons back into the cell. Last summer they got a world record of 31.1 percent conversion efficiency from a cell made of a gallium indium phosphide cell atop a gallium arsenide cell. They are trying to hit a 48 percent efficiency eventually. 3). Perovskites: Perovskites — minerals made up of mostly calcium titanate with superconductive abilities — were a hot topic at the SunShot summit, because solar cells made from perovskites could be much cheaper than silicon-based solar cells. 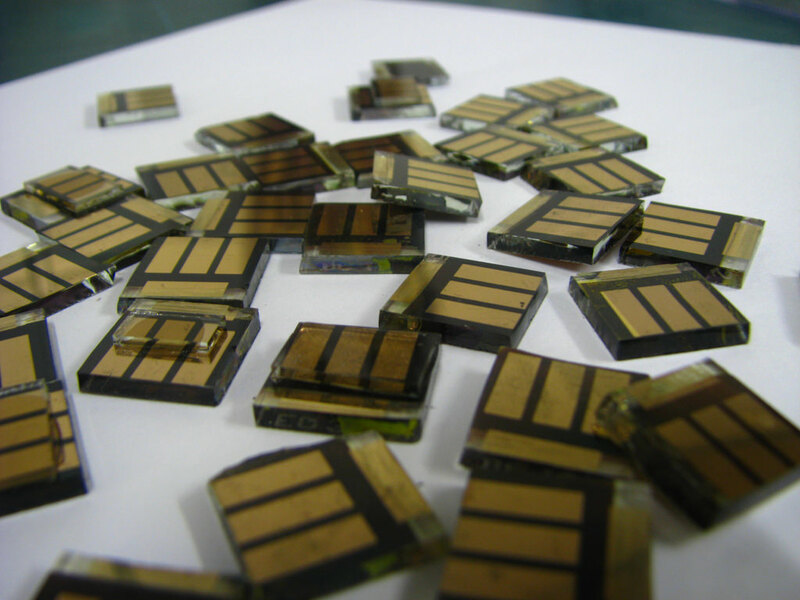 In 2012 and 2013 scientists were able to boost the efficiency of perovskite solar cells from just a few percent to more than 16 percent. Perovskite solar cells can also be transparent, so could be more easily incorporated into windows and buildings. Recently a team from Nanyang Technological University published results in Nature Materials about a solar cell made from perovskites that could be used to create tinted glass windows that double as lights and displays. At SunShot, a Professor of Materials Science & Engineering at Drexel University, Jonathan Spanier, called perovskites “game changing,” and able to make “the most of the sun.” While the mineral was discussed as far back as 1839, recently scientists have done some incredible work on various perovskite innovations. Spanier pointed to startup Oxford Photovoltaics as an interesting company making perovskite solar cells, and noted that perovskite materials can also be used for thermochemical energy storage for concentrating solar power. 4). Quantum dots: Quantum dots are tiny pieces of semiconductor crystals — less than 10 nanometers — that are so small that they have different properties and characteristics than larger semiconductor pieces. Researchers are using them to make solar cells because the energy level of the semiconductor can be tuned by changing the size of the dots. Scientists can also use quantum dots to make solar concentrators. These scientists at Los Alamos National Labs are using quantum dots to develop solar window tech. 5). Nano structures — wires, crystals, ink: Nanotechnology has been at the forefront of many solar materials innovations, as we mentioned earlier with the CZTS solar cells made with nanocrystal ink. Other scientists are using nanotechnology to make tiny wires and other nano structures that can boost the efficiency of solar cells. A startup called Bandgap Engineering is developing silicon nanowires, which it says are more efficient and cheaper than conventional silicon solar cells. The company, founded in 2007, went through SunShot’s incubator program and received a grant of $750,000 to make a solar cell from silicon that has a 36 percent efficiency rating. In theory Bandgap Engineering’s silicon solar cell could receive an efficiency rating as high as 60 percent. 6). Inverse design: Inverse design is changing the way researchers are figuring out what solar materials to work on. The process essentially involves identifying specific properties that are desired in a material, and then determining that material’s required atomic structure, tapping into computing power to go through the vast amount of potential options. 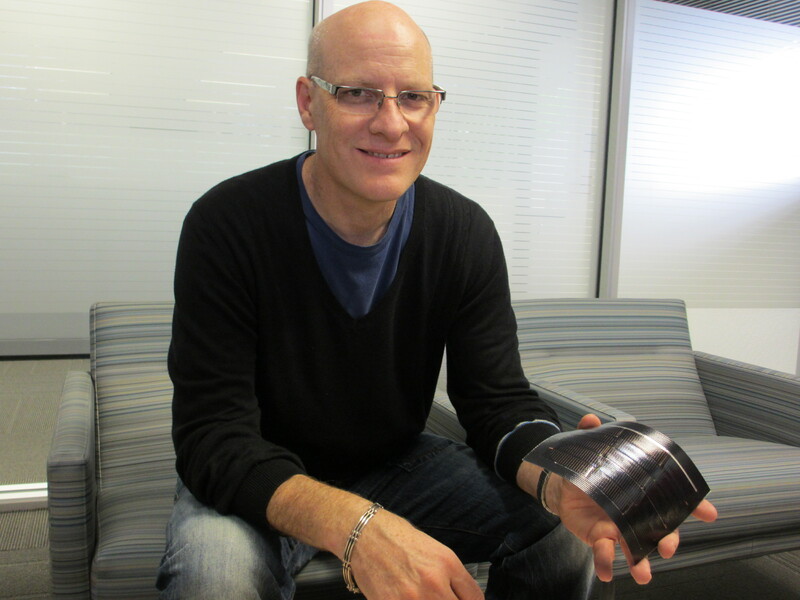 University of Colorado professor Alex Zunger is the chief theorist at the Center for Inverse Design and he spoke about inverse design at SunShot. Zunger has been using inverse design to find the best materials for solar cells made of quantum dots. 7). Fool’s gold: Really? Yep, that material you might have had in your rock collection as a kid is being used in some bleeding edge solar innovations. 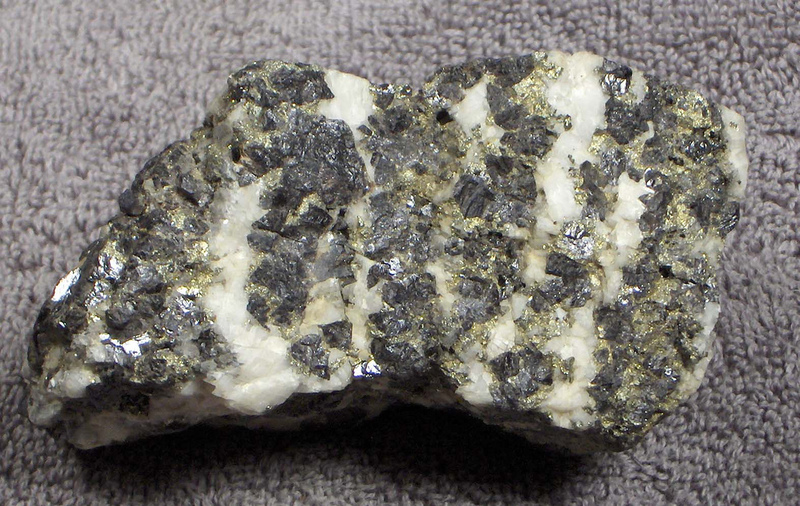 Fool’s Gold, or iron pyrite, is inexpensive, found all over the place and is non-toxic. The big problem is the efficiency of its sunlight conversion is pretty tiny. Researchers at University of California, Irvine, are using a SunShot grant ($1.4 million) to try to make a prototype of a solar cell from iron pyrite that’s 10 percent efficient or greater. 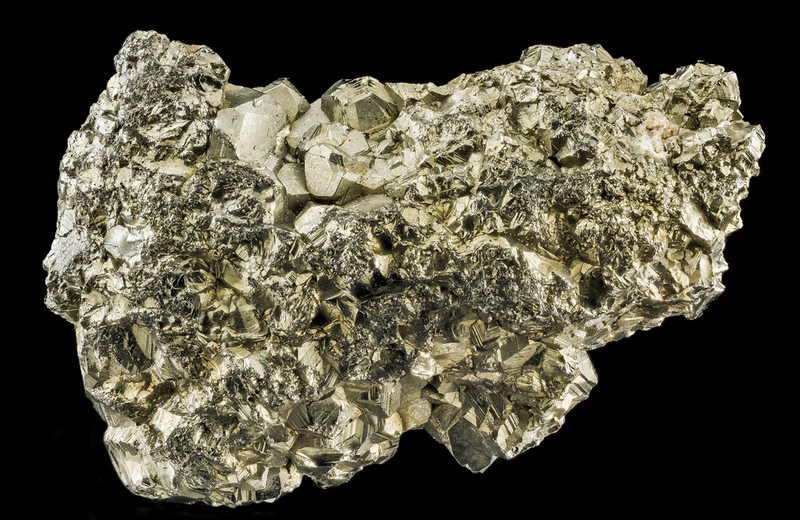 The University of Wisconsin-Madison has a team making nanostructures for iron pyrite to make it more suitable for a solar cell. Solar energy is cheaper and cleaner than regular utility energy. To install a solar power system in California, Oregon, Colorado, and Arizona; No hesitation !!! SolarCity can install a solar power system on your home for free and sell you the energy it produces for less than you currently pay. This is your chance to save for years to come. Solar Energy is a joke. So many are fooled by this nonsense. Look the maximum amount of energy that falls on a square meter @ the equator under perfect conditions is about 1KW. Now assume an efficiency of 20%. That’s about 200W, mind you under perfect conditions at the equator. And this is only for a few hours a day. So when you crank out the numbers you can see that Solar couldn’t work even if the cells were 100% efficient. Just got a 34 page ‘lease’ agreement from SolarCity to put a solar energy system on my home. Yikes! A 20-year ‘lease’, payable to them no matter what might come up in life; no storage system (meaning I still have to pay my utility company $$$$ on top of a monthly payment to SC); a 2.9% increase per year guaranteed; and at the end of the 20 year contract I own NOTHING, not a damn inch of the system. They get the benefits of all tax credits, energy credits, green energy credits etc., from the government (which I also pay with my tax dollars) and I might see a reduction in my utility bill…big ‘might’…. Watch these companies, they are corporations like all the other money hungry corps, they are profit-based, greedy, like all the rest, but are preaching…clean energy vs. dirty energy…uh huh….sounds good, BUT….no so much. solar energy is the best energy ever know by humans.it is inevitable. Solar and wind should be the future as both are abundant and always around. It’s just a matter of figuring out the most cost effective way of doing. How long that will take is anybody’s guess I presume. Falkenhagen, Germany (360 cubic meters of hydrogen per hour). researching can go for decades and once it’s done, the results could be of great help for humanity sometimes from making mistakes we learn for better things. Technology today is incredible, quantum , nanotechnology ….can change matter creating new products, it’s like magic in our hands! Why can’t someone find a way to produce electricity from cosmic energy.Most solar energy systems need sunlight,which means,at best,you get power up to 45 percent of the time.Cosmic energy is from what little we get thru Earth’s geo-magnetic field,but its on 24 hours a day.Stars,both our sun,and the stars at night generate cosmic energy.All we have to do is is find a material which produces energy from cosmic rays,and for power plant operations, build collectors on the moon and beam power back to Earth via microwave link. One day some one will realize that the dust that accumulates on your computer screen is not only the solution to all of our materials needs but also has anti gravitic properties as well as photo voltaic properties. Yes, dust, the very same dust that in Genesis God sculpted into Adam next to the river. What genius wants a Nobel Prize? You’re welcome! Check out NENE over the counter. 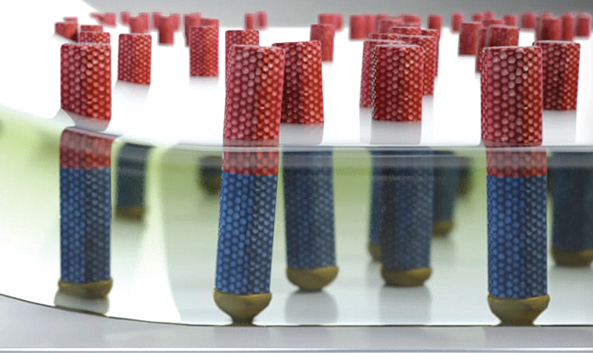 They have a process that turns ANY window into a see-through generator of electricity. They’re hoping to be a commercially viable company in the near future. There are scientific errors in this article. In section 2 where it talks about photon recycling, solar panels use photons to knock off high orbital electrons around atoms to create electricity. They do not absorb electrons from the sun to create photons. photons are what light is made up of, not electricity. The magnetic field emitted from earth protects us from electron bombardment from space. I believe the author of this article got their quantum physics concepts confused. A combination of solar during the day, and nuclear base load for the night, is the way to go. Relying so much on natural gas to generate electricity is dumb. Oil and gas are too valuable as chemical feed stocks to burn to generate power. Fossil fuels, especially oil, will begin to get very expensive quite soon. That high cost has the potential to wreck the economy decades before the oil and gas actually run out. Uranium and thorium will last much longer. And the Sun will be around for at least 500 million more years. Although solar is already mature, employs more people than the coal industry, and is the cheapest source of electricity, there is still a long way to go. I remember from when I was in college that 10-15% is pretty easy to get for almost no cost. Getting higher performance adds cost out of proportion to the performance improvement. Back in 1980 we knew how to get 40%, but it only made sense for high powered spacecraft, but it was a lot cheaper to just reduce the power demand of the spacecraft, so that’s what happened. For most people, 15% is fine, if we cover the entire roof we have more power than we can use and at only the cost of one year’s electricity bills. Then we look at the problem that the power may be more than we need, but it’s “crowded” 3 hours either side of noon, so we need storage. Battery technology can easily provide storage, but not at reasonable cost. Batteries with decent lifespan cost twice as much as the solar cells. However, it looks like the answer is finally here, fuel cell powered cars. We can use the excess electricity during the day to split water and generate hydrogen, which we store under pressure in tanks. Before the sun goes down, we plug in the car’s fuel cells and they provide electricity all night from our stored hydrogen, while at the same time we refill the car’s tank. In the morning we use our hydrogen for the daily commute while the house refills the tanks. Solar equipment cost is not the problem. It is the middleman costs that make solar expensive. Still too expensive, We will NEVER stop paying for being on the grid. The big power providers will not lose money, as they have a monopoly on the grid and distribution of power. We are working on new storage systems. Check out ARESNorthAmerica.com for a real life, grid scale answer to energy storage using large rail cars loaded with weight. It charges with solar, or wind , or excess grid power by moving up a 17 mile hill, where it is stored until the energy is released when the cars roll down the hill and drive generators. Similar to hydropower without the water. We built a smaller “Gravity Battery” for my sons High School Technology Project using weights. Same theory. It’s not meant to be as efficient as a “Battery Bank” it’s purpose is to “time shift” the available energy. It stores solar power created in the day for use at night. It’s simple and it works. Awards were earned by a product that used a bag of rocks to drive a closet light for use in homes without electricity. Same idea, much smaller scale. to everyone – you need to lower the cost of opportunity IE a tota lsystem package- even if it only powers 20 % of a users needs. Many will do it once shown a price grapgh of rising costs over 20 years. here’s my free idea – work on low efficiency cells , that at less costly overall- Its better to be able to be able to produce 10% -25% of your needs – if the cost is under a few thousand dollars so the brakeven is actualy less per dollar. Just look at the evolution of the computer, TVs, aircraft, automobiles, home appliances, need I say more. Someday we will learn how to completely move beyond fossil fuel energy production. However it will take much longer than it should because of the power wielded by individuals like the K brothers. Oh if government only worked for the greater good. No mention of ‘Absolute Black’? Using hundreds or thousands of acres for solar farms is just a waste of resources; however, if companies installed solar on peoples already existing roofs, your are talking about millions of available acres of space and minor adjustments to get those solar panels contributing to the grid when the homes aren’t using them at the time. Excellent rundown — CIGS are so good because their response is matched well to the solar spectrum, substitutes will have to be close to the same. Reaching 48% efficiency is great — if we can do that we should be able to go even higher. CHECK OUT my Internet articles on science and faith below. Just google the titles to access the articles/sites. DOES GOD PARTICLE EXPLAIN UNIVERSE’S ORIGIN? ARE FOSSILS REALLY MILLIONS OF YEARS OLD? HOW DID MY DNA MAKE ME? You are certainly entitled to your opinion. What is absolutely correct about it, is that it is YOUR opinion. You’re entertaining, Babu. Have fun in your fantasy world. Meanwhile science and nature will do as it does, no matter what you choose to believe. HUH? Where is in the world did you find creationism mention in this article. The earth is not 6000 years old. Men and dinosaurs did not exist at the same time. The earth is not at the divine center of the universe. But there are always people who can not or will not understand science. People like you are the reason that the human race may become extinct. Larry, I have one question I want you to honestly think about. In the beginning, the absolute beginning of time, where did everything or anything come from? I’m referring to the creation of the very first atom of matter. Could it have been introduced into the void by any other means other than a supernatural act? If so let us all know scientifically speaking. In the beginning God said “Let there be Light” and the Big Bang happened and then science took over and has been trying to figure out how he did it ever since we came along. Is that a pretty good reconciliation of creationism and science? John, I very well understand your stance and yes, science, as far as I can understand, cannot explain why anything, including time and laws of nature, exist. Supernatural, by definition, cannot be explained or understood and therefore, since supernatural beings are no longer needed for explaining anything in the world around us, it would be convenient to grant them responsibility of initiating everything. But if it was a supernatural being that introduced the first atom into a void and thus marked the beginning of time, how could that supernatural being pre-exist time? It would not be the absolute beginning of time then, would it? Hence, there would be a time before matter when only supernatural beings existed and then we would have to imagine something that introduced the supernatural being into a void and that again, would require some entity to commit the act. The whole idea that for something to exist, it has to be created will lead us to an endless chain of creators. Either the government or private industry should create a world-class solar research center in the Coachella Valley. Advantages are relatively cheap real estate and abundant sunshine. The Coachealla Valley on average has more than 350 sunny days per year. Why wait for some lab to develop these technologies someday when low cost, high efficiency solar modules are already here. Hyper X Solar’s N-Type, thin film passivated, tunneling junction architecture already provides higher efficiency, a smaller footprint and a much lower cost which makes Hyper X solar’s price/performance ratio hard to compete against when compared to many of the solar lease and PPA company’s poorer performing offerings. Hyper X solar also offers an incredible -0.27%/degree C temperature coefficient rating for awesome performance in hot/warm climates and best of all Hyper X solar systems are priced thousands less and even tens of thousands less on larger systems than a SunPower solar system. If any of the entities involved in this article are reading comments – there is a new material that is going to be the key to making solar energy affordable. It is called graphene. Any other materials you are researching fall way short of the conductivity and energy transference of graphene. Stop wasting your time with other materials – they will pale in comparison. Mark my words, graphene is going to change this world in the very near future. The true growth or “explosion” in solar energy will occur when it becomes truly DIY Just as in home remodeling or minor auto maintenance and repair, a market does not reach mass until the general populous can go to a retailer, purchase what they need, and complete the project on their own. That will also create the greatest reduction in soft costs, installation. True indeed, Mike. I commented somewhere else that the bright person who creates a turnkey solar PV system will take home the prize. Only thinking about it, I’m wondering now what the regulatory structure currently in place will do to address the millions of PV installations which would come online as a result of turnkey system(s) entering the marketplace. How much would you like to spend for a bank of batteries in your basement? You don’t need batteries for a grid-tied system. If liquid metal batteries prove successful your comment will be moot. Whole communities will be able to tap into their stored power. If there is excess solar per day, you can turn it into hydrogen to store for night use or for use in your vehicle. It is only a matter of time until each home has a system. Why do you think utility companies are willing to store your energy for you…. Uh . . . solar PV is ALREADY DIY. I’ve installed two solar PV systems myself. It is not rocket science. If you have the DIY skills to install a 240V Dryer circuit and install an attic roof vent then you have all the skills you need to self-install solar PV. You just need to draw up a plan, get the permits, and do it. There are plenty of websites that will sell you the solar PV equipment and the rest can be purchased at your local hardware store. You are jusdt playing with toys. Solar and wind will never be a reliable source of energy. It already is in Europe. Fossil Fuel companies know how to take advantage of America’s stupidity. Repeating a lie over and over does not make it the truth. It also does not matter how deeply one believes the falsehood. Solar is a good source for lighting now when combined with LED bulbs. A couple of golf cart batteries and a modest panel array will handle lighting needs. Unfortunately the government concentrates on big central plants and the necessary changed to building codes have not happened. Uh . . . rooftop solar is doing just fine. Don’t look to the government for it, it is up to you to install it or pay someone to install it if you want it. Except the gov’t gets in the way most times. It can be very difficult and expensive to get the permit to put solar on your own roof in some places. Also, utility companies are starting to complain about solar, and customers are now pay a large ‘fee’ to cover ‘their fair share’ that they no longer pay for since the don’t use the grid. So, many places, solar is damned if you do, damned if you don’t. The gov’t and the utilities will always get paid, and that’s what I think John is saying. I am trying to be more independent on my energy. Could you use gel batts? I got me at Costco panels of 72 W.
Couple solar and wind with a reasonable-cost energy storage system to smooth out the spikes, and they could be part of the portfolio. Gee, that’s odd. My self-installed solar PV system provides me with 130% of my net electricity needs (I generate more than I use). And that includes powering my electric car. And it costs much less than what I would be paying the utility. But you can go ahead and remain a slave to utilities and OPEC if you’d like. Way to go Spec9! I’m at about 85% with my 6 kw array. And your total supply and installation price is……? Not “odd”. Our family of four uses lots more juice than you, and your electric car will not go where we need an SUV loaded with sports equipment to go. Different strokes. But surely solar thermal and PV can and will act as an auxiliary energy source, thus lowering our dependance on the power companies. Not being slaves to OPEC is already on the menu, we have enough Shale Gas to last us until the technology shows us the way to the next level…Like relatively small Thorium Reactors (Or something yet to be discovered.) that will be safe, plentiful and clean. The answers are there, we just need to ask the right questions without politicizing the issue. Ha! And people like you also stated that planes would never fly, cars wouldn’t be able to exceed thirty miles to the gallon(auto executive in the seventies responding to a fuel efficiency question in congress) and the list goes on and and on. People like you who underestimate the power of human intelligence are relics of past shortsightedness. In fifty years when more of the power being consumed is non-fossil generated the truth of constant innovation will prove naysayers like yourself ignorant. and fossil fuel is? did you know that 60% of what you pump into your tank doesn’t get burned? A catalytic converter just makes your exhaust cleaner by burning up that unused fuel…. real efficient Ken. And solar energy creates the wind. Wind can be crazy powerful, it’s all energy. We just have to figure out how to harvest and store it. Reliable you say? The sun rises every day and the wind blows EVERY DAY! You think depletable fossil fuels are more reliable than the sun? lol – I had a boos once in the 80’s that declared that NOBODY would ever need anything more than a 386 PC on their desk. A freaking 386???? This statement reminds me of that boss. Let me know how it works out for you. :) Peace out. The above comment “you are just playing with toys…” is the same as saying “cars cannot replace the horse” or “heat pumps? hah! they’ll never work” or “if god had meant man to fly then he would have given him wings”.. Your right, but your also wrong. If these kids knew how to make anything truly effective and sustainable as well as ideal for all even the one who creates it, we wouldn’t have a chance to think that they are just playing with toys. But in today’s world even the greatest of discoveries can be taken for granted just because there are fools who are truly blind to the greatness and over come with arrogance. They are trying to hit a 48 percent efficiency eventually.